HVAC filters are often forgotten about. When was the last time you changed yours? 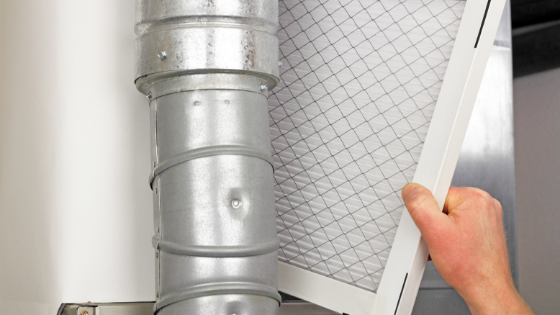 Changing your filters can elongate the life of your HVAC system and give your house better air quality. Plus, it’s cheap and easy to do! Knowing when and how to change your filters is not difficult but it may help you prolong the need to replace your HVAC system. Generally, you should be changing your filters every three months. Though this is a general rule, there are many things to consider. How many people do you have living in your home? What are their needs? Do you have any young children in the home? They may need cleaner air. Having more people in the house may also require a new filter more often. The more people you have to produce debris, the more your filters have to capture. Having anyone in your home with special needs may also require better air quality. The size of your home is another thing to consider. A larger than the average house will be filtering more air and need new filters more often. You should also consider the surrounding area and climate of your house’s location. If you are located in an area with poor outdoor air quality, you will likely have poor indoor air quality. Pollution outside can easily carry inside and clog up your filter fasters. If your home is a vacation home or a house not lived in regularly, it may not need a filter change as often. Not having people in the home or using it regularly will require less filtered air and produce less pollution. The quality of your filter can also impact your needs. Cheap filters—usually made of fiberglass—are likely to get clogged up after about a month of use. Whereas mid-range filters last closer to three months and high end pleated filters can last up to about six months. The filter you get matters! Having pet hair in your hours will put more of a strain on your filters. Dogs and cats will create more work for your filters as their hair goes through the system. Your filters will almost certainly get dirty faster if there are pets in the house. If any members of the house have allergies, having good quality may be a higher priority. Allergens are often passed through the air. Replacing your filters more often will keep air cleaner and help to keep allergies at bay. If you still aren’t sure when to change your filter, there are a few signs you can look for. You can check your filter if you see visible dirt and build-up—it’s time for a change. It’s not hard to tell if air is having trouble passing through a filter. You should be checking your filter regularly. This will also help you keep track of how often your home requires a new filter. This entry was posted in Blog and tagged AC Maintenance, AC Repair, AC Replacement, AC Tune up, Air Conditioning Repair, Air Conditioning Replacement, Furnace Maintenance, Furnace Repair, Furnace Replacement, Furnace Tune-Up, Heating Repair, HVAC Contractor on March 13, 2019 by admin. A heating system makes your home a warm and comfortable place to be. When it breaks down, temperature conditions can be miserable. But with a few simple practices, you can keep your running longer. Keep your home warm and cozy all winter long as your HVAC works to meet your home’s needs. When your furnace is working well, you’ll bring down energy bills, keep it around longer, and have a more comfortable living space. Furnace filters can easily build up dust and debris as they filter the air that blows into your home. These filters keep your air clean, but when they’re dirty it gets harder and harder for your HVAC to blow air through them—they need to be replaced regularly. Don’t make your furnace work harder to get your air to you. Replacing your filter can be done in just a few minutes, it’s an easy task. You should be charging your filter about every three months. However, this will differ based on your living situation. If you have pets, that means pet hair flying through your air vents; your filter may need to be replaced more often. 2. Seal any air leaks. Don’t pay to keep your home warm and then let the air escape to the frigid outdoors. When there are air leaks in your home, your furnace will have to work harder to heat the space; this is very common in old houses. You may benefit from replacing an old window or uneven door. Do what you can to seal the air in your house to keep it warm through the cold season and save your furnace from working harder. It will also bring down those heating bills! 3. Give it a break. Your furnace needs breaks too. Running your system 24/7 will lead it to wear down faster. Once in a while, give it some downtime. You could program it to take a few hours break during the day when you aren’t home. Taking advantage of space heaters may also help. However you do it, just give it a little downtime once in a while. An advanced system like an HVAC should have a regular inspection to keep it running strong. You can have the peace of mind that it’s running at its highest capacity. Because the furnace is used so much during the winter months, it may be a good idea to have it inspected in the fall, be sure that you won’t run into any hiccups when you need your heating system the most. Avoid freezing nights with the insurance that you furnace is ready for winter. 5. Create good air circulation in your house. Having good ventilation throughout your home will make your HVAC’s job easier. Remove any obstructions from airways, don’t block air vents, and keep doors open. Good air circulation will keep your house ventilated, give your HVAC a break, and help to reduce the risk of mold and bacterial growth in your home. This entry was posted in Blog and tagged AC Maintenance, AC Repair, AC Replacement, AC Tune up, Air Conditioning Repair, Air Conditioning Replacement, Furnace Maintenance, Furnace Repair, Furnace Replacement, Furnace Tune-Up, Heating Repair, HVAC Contractor on February 5, 2019 by admin. Your Heating, Ventilation, and Air Conditioning (HVAC) system is more than a considerable investment. It’s absolutely vital to your family’s comfort both in the summer and the winter but how can you make your HVAC system last longer? 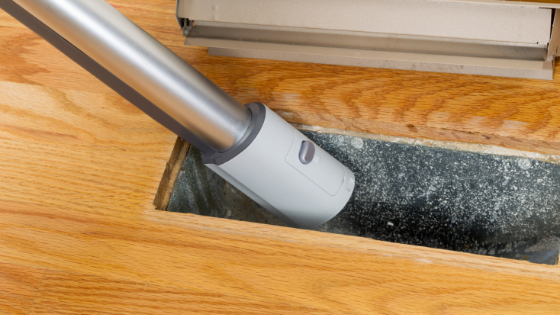 Because air filters filter out dust, dirt, and debris, it can get clogged up and dirty fast. 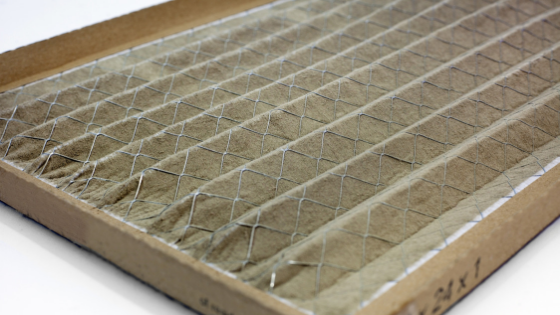 Replacing this filter regularly will not only keep your air cleaner, but it will extend the life of your HVAC. When this filter is blogged up, your HVAC will have to work harder to pump air through to your home. This will up your energy bill and ware down your HVAC system faster. You should be replacing your filter every few months, the need will likely to change based on the environment of your home. For example, if you have pets in your home, you may need to change your filter more regularly. To ensure that your HVAC is running at high capacity, it should be inspected regularly. As seasons change and the function of your HVAC is changing, it’s generally a good idea to schedule an inspection. Like having a regular check up at the doctor, these inspections will ensure that your system is running well and will continue to run well. These preventative measures can help you avoid spending a miserable summer day without air conditioning or a cold winter night without heating. Polluted air vents and ducts can make harder work for your HVAC. Similar to your filter, when these things are clogged up with dust and debris, it can mean unclean air and a worn out HVAC system. Do your system a favor and clean out your air vents and ducts regularly. This cleaning will also ensure cleaner air for your house. Bring in better air quality and save the money needed in repairs or replacement for your HVAC with a simple cleaning once in a while. Keeping your HVAC running 24/7 can mean a warn out system. If you give it a break once in a while, it’ll last longer. Maybe shut if off and open up your windows or turn on a fan. You could give your HVAC a break a few hours during the night when you’re sleeping, or during the day when you aren’t home. Either way, make sure to give it some time off once in a while to ensure it keeps running at full capacity for years to come. You can also make work easier for your HVAC system by creating good air circulation in your house. Part of your HVAC’s job is to circulated air throughout the home. This job is a lot easier when interior doors are open, and airways are unblocked. Be sure that furniture and other obstacles are not blocking any vents, windows, doors, and other air ways. Good air flow will not only encourage circulation and ventilation, but it will also help to reduce the risk of mold and bacteria growth. Give your HVAC a break and increase the quality of your air with some good circulation in your house. This entry was posted in Blog and tagged AC Maintenance, AC Repair, AC Replacement, AC Tune up, Air Conditioning Repair, Air Conditioning Replacement, Furnace Maintenance, Furnace Repair, Furnace Replacement, Furnace Tune-Up, Heating Repair, HVAC Contractor on January 4, 2019 by admin.